First of all, if you’re reading this Qualia Mind review you may be wondering if this is the Qualia “Step 1 and 2” two bottle pack with the morning and afternoon doses. It isn’t. It’s not unheard of in the supplement industry, brands launching multiple versions of a formula. The premium variety is usually expensive and a basic version is made available at a lower price with minor modifications to the ingredients. Indeed, this was the train of thought passing through our brain when we first set about our Qualia Mind review. The Qualia supplement with its 2-step process was dominating the market not too long ago. So, we had to ask ourselves, what’s the rationale behind introducing the Qualia Mind? Is it the cost or major changes in the formula? With a price tag of $140, the cost of Qualia Mind isn’t far off from its expensive cousin. The manufacturers have made minor changes to the ingredients and individual doses, but nothing too drastic to warrant a new product. 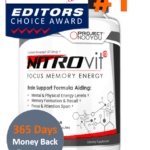 So, what’s special about Qualia Mind, what does it contain, is it any good, and can a $140 product still not knock the $60 Nitrovit off the top spot for best focus and memory supplement? What are the benefits of using Qualia Mind? The manufacturer of Qualia Mind, Neurohacker Collective, has a clear vision – to develop a formulation using the purest, highly potent, bioavailable, and active ingredients. Their unique formula that comprises of choline donors, amino acids, adaptogens, antioxidants, vitamins, and herbs deliver all-around benefit to the brain. Users of Qualia Mind are promised both short- and long-term benefits. Mental performance and several cognitive faculties get a clear boost with the regular use of the supplement. Qualia Mind is a fast acting brain booster that takes less than an hour to take effect. Increased Motivation: Procrastination will be the thing of the past. Motivation, clarity, and the drive to work hard day-in and day-out will be your partners for life. Intense Focus: Stonewalls all distractions and allows you to focus and pay attention to stuff that truly matters. Boosts Energy: Say goodbye to fatigue, exhaustion, and weakness as the supplement will boost and sustain your energy throughout the day. Clears Brain Fog: Confusion and lack of clarity can lead to indecision. Brain fog can make it difficult to clearly articulate your ideas, disrupt focus, and result in poor memory. Qualia Mind can clear the mental fog and enhance cognitive performance. 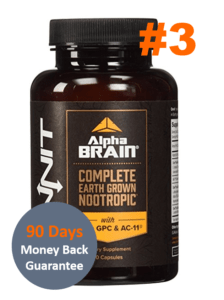 The makers of the supplement will have a tough time creating a new brain enhancement formula because the Qualia Mind contains all the well-known cognition-boosting ingredients. Going through the ingredient list, makes us wonder if an adequate amount of each ingredient is added to really have an impact on our cognitive faculties. Here are some of the important ingredients added to make the brain enhancement formulation. Huperzine A is one of the prominent members of the Cholinergic molecules class that inhibit the decrease of the neurotransmitter acetylcholine. It’s known to boost acetylcholine and support cognitive faculties related to the neurotransmitter by inhibiting the acetylcholinesterase G4 isoform (1). Furthermore, this nootropic is well-known for its neuroprotective properties. Huperzine A is believed to act against glutamate to prevent neuronal degeneration and dysfunction (2)(3). Huperzine A seems to be much better at promoting neurogenesis than other substances (4). Fish is the best source of this fat-soluble amino acid. Consequently, Phosphatidylserine is also present in a high quantity in our brain. 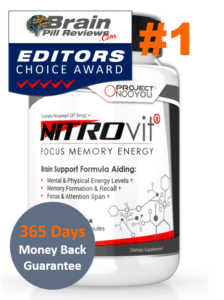 Through multiple functions, this nootropic reduces cortisol and improves memory and other cognitive functions. Supplementing Phosphatidylserine has had tremendous improvement in the young patients suffering from ADHD (5). Phosphatidylserine given to participants in the form of fish oil has shown the ability to reduce stress (6). In vitro administration of this nootropic to rats resulted in the increase of the neurotransmitter acetylcholine (7). One of the key reasons the makers have added Uridine Monophosphate to the Qualia Mind supplement is because of its synergistic action combining with DHA (one of the ingredients in Qualia Mind). These two substances along with choline are known to target the hippocampus and increase the dendritic density, which helps memory and learning (8). Equally impressive is the nootropic’s antidepressant effect. Professor Carlezon of Harvard feels that this ingredient inhibits stress from developing into depression. Researchers also believe that combining Uridine Monophosphate with Omega-3 can augment the stress-reducing effects of both these substances than when taken separately (9). DHA needs no introduction, as it’s one of the well-known forms of Omega-3 fatty acids. DHA deficiency can affect neuron communication, thereby affecting the brain function. Studies show that the DHA in Qualia Mind can improve and increase the efficiency of communication between neurons (10). DHA is known to fight factors that promote aging; factors such as DNA damage, change metabolism, and oxidative stress (11) (12) (13). By adding DHA in Qualia Mind, Neurohacker aims to improve verbal fluency, learning, and memory (14) (15). According to Ayurvedic texts, students in Gurukul (traditional education system in India) took Bacopa Monnieri to improve mood and cognitive faculties. Likewise, modern research has established the memory improving and anxiety reducing properties of the herbal nootropic. A 12-week study in Australia involved some participants taking 300mg of Bacopa and others using the placebo. At the end of the research, it was found that the bacopa group showed significant improvement in memory and learning abilities (16). Above all, Bacopa is an excellent stress buster. Many consider is better than modern medicines because it prevents stress, instead of treating it. Its powerful adaptogenic activity has been clearly established in animal studies (17). Rhodiola Rosea hails as one of the best herbal nootropics. Out of the 140 active ingredients, Salidroside and Rosavin are the most powerful and beneficial substances in the herb. Similarly, Rhodiola Rosea has been added to the Qualia Mind supplement to play the role of an adaptogen. Two studies have clearly established its stress reducing properties. In one study, 400mg was administered to 101 people and in another experiment, the herbal nootropic was given to 118 participants (18) (19). In both these studies, the ingredient reduced anxiety, exhaustion, depression, and fatigue. Instead of L-Tyrosine, NALT is added to Qualia Mind because of its higher bioavailability. This is one of the best Nootropics to improve brain function. In a study, They have given NALT to 85 youngsters suffering from ADHD. The nootropic treated symptoms of ADHD by influencing the levels of dopamine and serotonin in the body (20). Regular use of NALT guarantees healthier brain and higher cognitive flexibility. This, according to a research done in 2015, out of 22 participants some were given the nootropic, while others were recommended placebo. The NALT group showed higher cognitive flexibility than the placebo group (21). Alpha GPC is the preferred choline-source by most brands because it’s highly bioavailable. Therefore naturally, they have used in Qualia Mind to boost acetylcholine levels in the brain. The nootropic offers other benefits to. Alpha GPC improves memory by activating the Protein Kinase C (22); it also plays a very important role in long-term potentiation (23). Similarly, Alpha GPC along with two other ingredients in Qualia Mind (Phosphatidylserine and Caffeine) helps those suffering from stress improve their reaction time and attention span (24). Who are the people behind Qualia Mind? A San Diego supplement maker Neurohacker Collective produces the brain booster Qualia Mind. This is the second cognition enhancing product from the company; the first being Qualia Step 1 & Step 2 supplement. 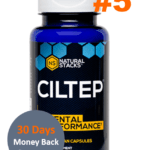 For the reason that, both supplements tasted tremendous success in a short period of time, Neurohacker Collective team has shown the largely due to hard work and dedication. Led by a dedicated group of directors, nutritionists, health experts, doctors, and medical advisors, the makers have worked tirelessly to develop a powerful, safe, and affordable brain enhancement supplement. Similarly, you won’t find a major deviation from the Qualia 2-step process. In the case of Qualia Mind, the makers have laid down clear instructions on how to use the supplement. On a daily basis, take 7 capsules of Qualia Mind before breakfast. Those with a history of sensitive stomach can begin with a smaller dose. Plus, taking the capsules along with food is recommended to avoid tummy trouble. The standard dose per day is 7 capsules, but the optimal dose can vary based on factors such as age, body weight, etc. Bear in mind rather do not take more than 12 capsules a day. Cycling of the supplement not only recommends but mandatory to boost its long-term effect. After every 5 days of continuous use, take a 2-day break. The Qualia Mind supplement contains several vitamins, amino acids, and herbs. To avoid vitamin overdose and drug interactions probably we recommend consulting a doctor before you take the cognitive booster. What should you know before buying the Qualia Mind Supplement? How much does Qualia Mind Cost? For many, who have used this brain enhancement formula, it’s a wonder drug that’s priceless. To get your hands on this supplement, you have to shell out $140 per bottle. 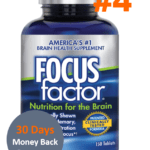 First-time buyers from the Neurohacker website gives a discount, as the price of the first shipment is reduced to $89. Furthermore, you only have to pay $119 per bottle. Each bottle of Qualia Mind contains 154 capsules (i.e.) 22 servings. If you follow the standard dose, as recommended by Neurohacker, each bottle of Qualia Mind would last a month. Who can use the Qualia Mind? 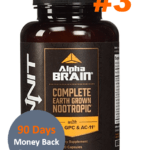 The brain supplement is for anyone wanting to improve overall mental performance, therefore, this includes students, professionals, entrepreneurs, and everyone seeking to boost various cognitive faculties. 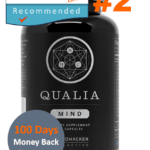 The best place to purchase the Qualia Mind supplement is the manufacturer Neurohacker’s website (https://neurohacker.com/shop/qualia-mind). The brain enhancement formula is also available from e-retail portals such as Amazon. What about Qualia’s guarantee and warranty? 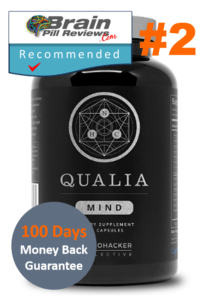 Qualia Mind guarantees 100% satisfaction, but for whatever reason the user is unhappy with the brain supplement, the makers promise a full refund. Unlike other brands, Qualia Mind does not demand the return of unused capsules from the users. Therefore, to claim a full refund, the user only has to get in touch with the manufacturer either through email or phone. Hence, the money-back guarantee only applies to first time buyers. The customers have 100 days to place their claim for refund. Verdict Time: What do we think of Qualia Mind Supplement? Neurohacker Collective has reduced the number of ingredients from 42 to 28. Despite the reduction, it cannot be denied that Qualia Mind comes packed with a lot of ingredients. Hence, it’s only natural that people worries about the efficacy and safety of the product. Seems like the other brain supplements, Qualia Mind comes with pros and cons, with the positives clearly outweighing the negatives. So that, let’s find out the reasons for the immense success of the Qualia Mind Supplement. Even though the Qualia Mind supplement is produced in the Neurohacker Collective manufacturing lab, the real magic happens in their R&D Lab. Here, they have made formula for Qualia Mind to undergo several tests to check its efficacy and safety. Similarly, the R&D lab employs researchers, doctors, and fitness experts to come up with the best brain enhancing supplement. Neurohacker Collective claims to use only the best active form of the ingredients. So that, equally important for them is the source of the ingredients therefore which guarantees the effectiveness and safety of the product. The makers purchase the raw materials from the best sources and they are subjected to batch testing before they use to produce the supplement. Qualia Mind is one of the 3 best brain supplements currently available because of the company’s heavy focus on the quality of the product. To maintain high-quality standards furthermore the makers subject all the ingredients to primary and batch testing. Another one to verify the safety and potency of the finished product furthermore Neurohacker Collective regularly perform Secondary Testing on the market-ready capsules. The Qualia Mind supplement is made of natural substances such as vitamins, amino acids, herbs, and natural nootropics. So that, they have only backed substances by solid scientific principles and evidence of efficacy and used to make the supplement. The makers rely on self-research data and international research to choose the ingredients for the supplement. The individual amount of each ingredient that goes into the making of the Qualia Mind supplement clearly says in the label. Therefore, we may not totally agree with the efficacy of a few ingredients also the dose of some of them, but as a whole also the Qualia Mind supplement works. You might have read in the ingredient section how some of the substances in Qualia Mind combine with others to reduce stress, improve attention, and boost other cognitive faculties. We don’t trust the reviews and testimonials on the Neurohacker website; seems to be some has make them up. On neutral platforms like social media, Reddit, Nootriment, etc. the opinion of customers seem to be divided, but you’ll find the majority supporting the product and its formulation, though some question the price, and necessity of so many ingredients. Even the most desperate person won’t spend $6.2 per serving for a brain enhancement supplement. So that, we can only presume, but we feel that they have heavily focused Neurohacker Collective on developing a good product that the company didn’t pay attention to the cost. The expensive price tag has ensured Qualia Mind is out of reach of students and first-time users. Hence, despite the cost factor and complex formula (containing 28 ingredients), the Qualia Mind supplement has managed to attract attention because the supplement works for most users. Qualia Mind is good product without a doubt, but the price is unnecessary at $140 when NITROvit at $60 does everything you need, at the end.